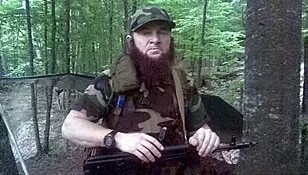 In the following interview, Dokka Umarov, Emir of the Caucasus Mujahedin, spoke to Prague Watchdog by telephone. Prague Watchdog: Some time ago there were reports that you had been wounded, and some even had you dead and buried. Were you wounded? Dokka Umarov: No, I wasn’t. The last time was in 1995, when I received a leg wound. PW: At the end of April the Kavkaz-Center website published a video in which you announced the decision to revive the Riyadus Salikhiyn brigade that was created by Shamil Basayev. In the video you said it had already carried out several successful attacks. That brigade also claimed responsibility for the attempted assassination of Yunus-Bek Yevkurov. Should we now expect a repetition of events like Beslan and Nord-Ost? D. U.: If that is the will of Allah. Shamil did not have the opportunities I have right now. We are experiencing such an influx of manpower that, if Allah allows me, there will be a result. I think I will even be conducting a slightly larger number of operations. PW: What sort of operations? When you became Ichkerian President in 2006, in your first public statement you said that only military objectives would be permitted, and that civilian targets and the civilian population would no longer be attacked. In your recent video you say things that appear to directly contradict that. Does this mean there will now be deliberate attacks on civilians? D. U.: As far as possible we will try to avoid civilian targets, but for me there are no civilians in Russia. Why? Because a genocide of our people is being carried out with the Russians' tacit consent. Their taxes help to maintain the law enforcement bodies, they provide them with money and give their blessing to the killing and atrocities. So why should we regard these people as a “civilian population”? They send their soldiers here, give them their blessing to kill our parents, brothers and sisters, even the person who gives a mujahed some crumbs of bread out of pity. Why should we consider them a civilian population? But I repeat: as far as possible we will try to avoid casualties among civilians. PW: The Kadyrov authorities are now conducting special operations in Chechnya and Ingushetia. They claim that that they’ve been able to kill a lot of your men, and that this month they’re going to finally crush the insurgency. Is it true that your situation is critical? D.U. : We have no problems. It is true that we don’t have enough time, resources or money, but otherwise we are fine: we have enough men, and we’re able to move around and wage war. Alhamdulillah, during the three years that I’ve been leading the mujahedin our resources have increased by 50-60 percent. Things are actually better for us now, because we don’t need to go looking for the enemy, the enemy are here, right next to us. Of course we feel sorry for the guys, they’ve been deceived by worldly promises and abandoned in the forests. But they have sold Allah (Exalted is He) and their honour. It’s very hard to take their lives, because they’re Chechens and Vainakhs, just like us. PW: How do you move around? D. U.: We do all of our moving around, our communicating, our planning without interference. Right now I’ve just come from the Dagestan border. While I was there I saw all the commanders, set them their tasks, told them what to do and where. I can’t see that there’s anything standing in our way – I travelled 120 kilometres along the border, and I didn’t have any problems. PW: What are the goals of your struggle today? D. U.: Alhamdulillah, the Chechen state was built by Dzhokhar Dudayev, he gave the Vainakhs their freedom. Then Zelimkhan [Yandarbiyev] took over, and then Maskhadov completed that stage. Our slogans today are the same. Only now what we’re fighting for is a free Islamic Caucasus, freedom for the Muslims of the Caucasus, the right to live according to Sharia, the laws of Allah (Exalted is He), so that people won’t have to obey the rules that are written by Putin and Surkov. These are our slogans, inshallah! PW: How will the future Caucasus Muslim State be organized? D. U.: Wherever there are people, there are laws. The law is a dictatorship. Those who must bear arms will bear them, those who must lay them down will lay them down. Some will occupy themselves with creation, while those who are to be punished will be punished. This is called Dar-us-salam. There's no need to reduce the Islamic way of life to that of the cave. In the Islamic state there will be both civil structures and law-enforcement structures. Everyone will be free to develop the talents they have been granted by God. All this it set out for Muslims in the Koran. Even Christians borrow all the healthy aspects of their lives from the Koran. The basis of our ideas about life is Islam, and we are not building a society of chaos. After all, in the end everyone on the planet is destined to live according to the Islamic view of the world. PW: Your life must be quite hard? Living in the forests entails hunger, cold, all kinds of hardships. D.U. : Yes, it is indeed hard. Not many of the Muslims would be able to live in the forests and rough it like this unless they had God in their souls, unless they lived their lives in the name of God, but, inshallah, since they do live their lives that way it is easy for them to overcome difficulties, and success comes of its own accord. The young men who come to us in the forests are moved by a sincere desire to travel the path of Allah (Exalted is He), by a desire to have a proper fear of Him. There is no lack of young men, all they need is sufficient resources of food and weapons. Alhamdulillah, the more the government tries to divert them from this path, the more stubbornly do they devote themselves to God. Because these men exist, our possibilities are endless. PW: Does Chechnya’s Moscow-backed leadership try to contact you, offer you negotiations? D. U.: We know that they used the pretext of negotiations to bring about the downfall of the two emirs who were my predecessors –- Aslan Maskhadov and Abdul-Khalim Sadulayev. Therefore, aware of how treacherous they are, I am cautious. They will have their “negotiations" when our forces are stronger! These forces are on their way, and this will soon be known. But the paths that are being offered to us right now are the insidious paths of deceit. Therefore we won’t accept them. PW: And what is your attitude towards the position and activities of Akhmed Zakayev? D. U.: He and I are related. I don’t intend to break my kinship with him. But when it comes to issues of work, we each have our own position. I don’t really know what he calls the role he is playing today. But I know that he won’t understand me, because he spends his time on a soft and comfortable sofa, and I spend mine in the forests. A mujahed never knows where his next meal is coming from. So there are bound to be disagreements between us. PW: Ramzan Kadyrov accuses you of acting against the interests of the Chechen people. D.U. : I would like to appeal to the Vainakhs. A lot of our people have been deceived, tempted by worldly goods. God did not give man a lifespan of a thousand years – man is doomed to die within a certain term. Yevkurov is a current example: he imagined that he was a great man, but where is he now? We are all of us destined to appear before the judgement of Allah (Exalted is He), and we must be prepared for it. Everything begins with God and ends with Him. So one should not live grovelling before power and hiding one’s face from one’s children and wives, one cannot live in fear. The Vainakhs have always been steadfast and courageous. And they should fear only Allah (Exalted is He), not the kafirs. But those who have become the slaves of the kafirs and don’t even own their own trousers, they live in disgrace. They only have Putin to hold up their trousers. PW: The mujahedin say they are willing to turn themselves into human bombs and blow themselves up in order to inflict damage on the enemy. Surely this can be interpreted as the sin of suicide? D.U. : It all depends on how one sees the world. The mujahedin who take this route are free to engage in such a mission. I am their commander and I order them to do something or not to do it. No one will take this route without my order. It is our enemies who have led our mujahedin to take it. The mujahedin depart this life not because they feel constricted here, and not because they are tormented by hunger – they are simply hurrying to accept the Paradise that has been promised them by Allah (Exalted is He).